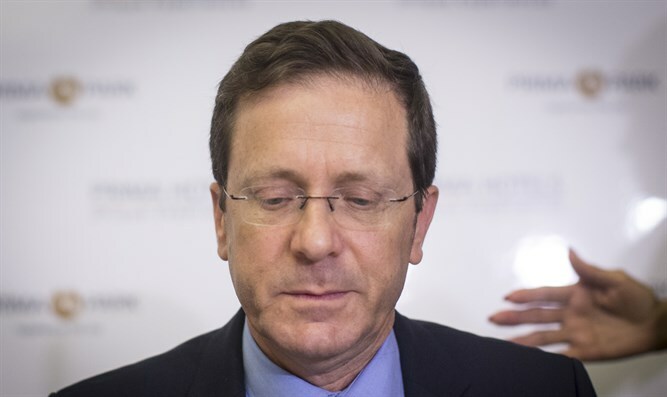 Attorney General announces that criminal investigation against Opposition leader Yitzhak Herzog for negative ad campaign. Attorney General Avichai Mandelblit announced Monday evening that he was closing the case against Zionist Union faction leader Yitzhak Herzog due to lack of evidence. Mandelblit stated that the messages from the negative campaign against former Labor party leader Shelly Yachimovich during the primaries for the party leadership in 2013 did not cross the criminal threshold. However, he said that Herzog's claims to have had no knowledge of the negative ad campaign contradicted the versions of other testimony from the case and the evidence gathered during the investigation. Herzog said in response to the closing of the criminal investigation against him: "I welcome the decision of the Attorney General, on behalf of all of the police and the prosecutors, to close the investigation into my affairs." "I have always believed it would be proven that I acted properly and that there was no defect in my behavior, and I am glad that it was decided at this stage [in the investigation]. It should be noted that the investigation was based on a biased and baseless article, published on the eve of the general elections in March 2015 by the newspaper Yisrael Hayom. I believe that this will turn out well for the other parties involved." Herzog said.